Spring. At last. New office and set-tags button. At Wikidot we are all happy to say goodbye to Winter. Spring officially began a few days ago and believe me, we got tired of snow, freezing cold and windshield scraping in the morning. Winter this year was substantially irritating. There were days we had problems geting to the office because of traffic jams caused by huge heaps of snow on the roads. In 2002 and 2003 it was used by almost 90% of all Internet users. It was the most popular browser up to 2007 until it was supplanted by its successors and competitors. Now less than 2% of Wikidot traffic is served for users of that browser. 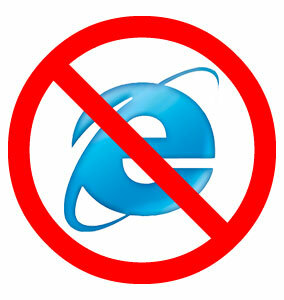 Internet Explorer 6 is now a way outdated web browser. It's not compliant with web standards such as CSS, XHTML and has serious issues with web security. In March 2011 Microsoft officially dropped support for IE 6 encouraging users to switch to newer versions of the browser. They said newer versions provide better privacy and security settings, tabbed browsing and improved speed. Following our user interface improvements path, today we are introducing a new and improved version of "My Account". We hope it will provide a much better overview of your Wikidot account and will be more intuitive to use. Although the "Dashboard" (that is how we call it internally) only replaces and simplifies the old interface right now (no actual new features), it is still a work in progress — we are planning more improvements soon, e.g. overview of activity related to your Wikidot account and simpler profile management.